It was just gone ten in the morning at Big Pete and I had already been to three domestic incidents since starting at seven, locked people up at two of them; one male and one female just to ensure the balance, when call number four came in. Well of course we were the ‘only unit in the area’ … we were the only unit this side of the main nick at Medbury, some 15 miles away, and one of only three cars on in any case this fine Saturday morning. The only reason we were double-crewed was not because the incidents we had already been to demanded more than a ‘one person’ response – although they did because, as is the norm, the people we had been going to were all ‘regular customers’ with plenty of warnings for violence, and especially violence towards police officers. No, the reason we were double crewed was simply because between five of us on shift covering two towns this morning, simply there were only three working vehicles ! That being by the by, our prisoners would have to wait a bit longer to be dealt with. It wouldn’t matter so much as each of them was so steaming drunk they wouldn’t be fit for interview for many hours anyway. It was, much as we actually hate to do it, looking like a pair of handovers for lates. In one case, so drunk, possibly even nights ! What wasn’t so great was the delay that would be caused in getting to the victims and getting statements from them. It’s not ideal but it’s the reality of where we were. Often the biggest problem we see when this happens, and it happens a lot, is that the victim suddenly has a change of heart, and decides they want nothing to do with the police, refuse to make a statement, and accuse us of all manner of things to try and get their loved one out of the slammer. This is generally due to having had time to realise the potential repercussions of their actions rather than a genuine will for their abuser to return, but it creates a very high barrier we then have to break back down to get people onside. Sometimes we don’t manage it but if we can still build a case, the rules are such now that the CPS should be looking to take forward victimless prosecutions to keep victims safe even if they don’t support such action. I guess in reality this can be a difficult one. Unless the courts come down hard on the perpetrator, and let’s be realistic, that’s the exception rather than the rule – the risk is great that we could inadvertently be adding to the pressure placed on the victim to such an extent that next time, they simply won’t call for help. It’s a toughy. Anyway, we took call number four and headed to the local superstore. Out of the car and not even through the front doors of the shop were we before the first comment came. “Breakfast already is it” were the words that spurted from the mouth of a fine upstanding member of the public as he emerged from the shop, fag already in his mouth with one hand flicking the lighter as the other tried to shield the emitted flame whilst simultaneously hanging on to a bottle of cheap shops own brand equivalent of Jack Daniels. Pete really couldn’t help himself sometimes. Mind you I guess the first few dozen times you hear the negativity thrown our way at every opportunity it’s quite humourous. After that it’s just plain boring. “Are they even things Pete ?” I asked, uninterested in rising to the original bait myself. We made our way past the line of already busy checkouts as families and singletons alike paid homage to the great Gods of retail and filled their bags with numerous products that were ‘offer of the day’ but would most likely end up in the bin as something never tried nor wanted, merely purchased as the psychology of modern retail warfare had captured another victim. As we got to the Security Office, which is really an oversized broom cupboard with a small chair that captured felons are deposited to await their fate, and a computer screen precariously balanced on top of copious amounts of paperwork and folders that share the rickety shelf upon which it resides, we were met by Sharon, Store Detective extraordinaire. Sharon isn’t really a Store Detective. In fact the shop doesn’t employ any. What happens is that each day, one lucky member of staff is relieved of their much looked forward to duties of stacking shelves on aisle 13 and told to play Super Sleuth for the day. It doesn’t work very well as you can imagine. The staff receive no training in how to spot Sammy Shoplifter (other names available), they receive no input on how to deal with any miscreants should they happen upon one by accident, and worst of all for us, they receive no goddam training in how to use the worlds worst ever CCTV recording system. As Sherlock Sharon was about to tell us, with her words of fury echoed in almost perfect synchronisation by her Store Manager who had appeared from nowhere, as if by magic (or at lest crept through a changing room door a-la Mr Benn), our quarry had given up ‘being detained’ by the store staff after twenty minutes, told them he had “a knife in his pocket and wasn’t afraid to use it”, and quite rightly, with concern for their safety, the staff had let him go. This had all happened a further 20ish minutes ago, so all in all it had been somewhere around forty minutes since the shop had called police to report what had happened. The store weren’t happy bunnies ! Having spent the next ten minutes placating the Manager whilst Sharon did her very best to do battle with the stores CCTV machinery eventually, no doubt with a lot of luck and a little bit of Harry Potter wizardry, up on the screen appeared moving images, not very high quality to be fair but moving still, of the worlds currently most wanted criminal. What surprised Pete and I most of all is that whoever it was, it wasn’t one of our ‘regulars’ or other local ne’er do wells but, luckily for us, an outsider stands out in ChaosTown as much as someone in a stripy top carrying a swag bag. “What has he had away with ?” I asked. “Frozen stuff definitely” said Sharon “we got some of it back, normal stuff, meat joints, they flog it all for drugs don’t they ?” she added. We took the basic details, enough to submit the obligatory crime report, and told Sharon we would be back later in the day to collect the CCTV footage if, by any stretch of the imagination, she could find anyone who knew how to download it. “In the meantime” I said, “we’ll go have a look around the area just in case”. To be fair they were not really more than words; going through the motions if you like. We knew it, Sharon knew it, and her manager knew it. By this time a good hour or more had passed since the call first came in, criminal mastermind numero uno had been gone for over 40 minutes and all we had to go on was some fairly mediocre video footage from which to work. This job had ‘filed pending’ written all over it. As we left the store I updated the Control Room via the radio, making quite a meal of the bits relating to time delays in the vain hope some supervisor somewhere would be listening and fee inclined to think about doing something, anything, about a problem that was becoming more commonplace by the day and making the job of the frontline attending officers equally more difficult. That bit fell, as expected, on deaf ears. The next bit, about the offender claiming to have a knife clearly didn’t however, as the radio world went crazy with supervisors and cops coming out of the woodwork from miles around, to get over to us and start hunting the now ‘prize catch’. He was of course right. We still had victims to see and paperwork to put together even if we didn’t get as far as interviewing the prisoners ourselves. It was going to be a long day for both of us. I could still hear the chatter on the radio as the Duty Officer in the Control Room tried desperately to find an ARV or at least a Taser officer to head over any try to intercept our proverbial very small needle in a very big haystack. I was driving and Pete had his eyes glued to the streets. “THERE …. OVER THERE …” he suddenly shouting, almost causing me to do an emergency stop in the middle of Castle Street. “That’s him, I’m sure of it” called Pete, pointing furiously at some random stranger just disappearing down a side street. Now Pete is not normally wrong, but in this case he really was pushing his luck given all the circs, but none the less, before I’d even stopped the car, Pete’s door was open and he was off running. I knew where the street Pete had gazelled down headed for so quickly spun the panda into blue light mode to get myself to the other end asap and hopefully be there before Pete and his quarry arrived. As expected I got to the other end of the street first, stopped the panda and headed off towards Pete who I could see running in the opposite direction just catching up with the guy he had eyeballed. The guys clothing was a perfect match for that we had seen on the shops CCTV, especially the ‘stand out’ purple and grey jacket he was wearing. But there was one other small thing which gave his game away. “What you talking ‘bout you ijots I ain’t dun nuffin” came the immediate line of defence from the chap we had just completed a perfect pinscher movement on. Not that many weekends ago, we broke off from Grade 1 to Grade 1 so many times, never actually landed at any of the jobs we were being sent to – Pete and I spent best part of two hours just diverting from call to call backing other officers up across what seemed to be half the county. It was a problem, quite a big one actually. I’d already got a workload growing the size of an acne patch on a spotty teenager with no sign of it ever getting any smaller, plus a RTC report file about to go out of date in four days; it having spent most of the past six months bouncing around the ether of an internal mail system (There will be a lot of heads out the right now nodding in agreement … or at lest empathy). My heart had already sunk at the mere mention of the CMH team. A call from them can normally be interpreted if we’re lucky as ‘we haven’t got enough staff to cope and there is a real, genuine, bona fide concern for this persons health and wellbeing, and we really need your help’ or, as more often than not the case ‘congratulations, we’ve just passed the buck, it’s your problem now’. I suppose I should have been glad for small mercies and the fact it was just gone 9.30am in the morning rather than 4.55pm in the afternoon so on the balance of probabilities, this call was more likely to fall into the first category rather than the second. Having been given the address for the incident, which was a good 25 minutes drive from where I was, I did have to ponder the fact for the moment that by some strange fluke, I was apparently the only available police officer that could be despatched to this incident. It didn’t pass me by that to get from my current location, to where this chap lived, would involve driving past Medbury police station, quite a substantial building, less than 10 minutes drive from the job and home, at this time of day, to probably in excess of 100 workers; police officers and admin staff combined. But of course, the small number of response and neighbourhood officers based there would, like those at ChaosTown nick, already be out and about, committed with jobs they had been given or enquiries they had to follow up. There’s no way the amassed ranks of ‘specialist departments’ could possibly be disturbed and asked to attend such a trivial matter as a bloke who appears to have taken some sort of hallucinogenic substance and could quite easily by now be in a battle for his own very existence. This after all is a job for response. Makes you wonder a bit about that definition of ‘front line’ doesn’t it ?? The radio crackled and squawked back into life and some sort of garbled message was transmitted from the other end. “If that was aimed at me you sound like a Dalek, stick 50p in the meter and try again” was my response. Not very radio comms policy compliant I know but the message was the same. I can just imagine the look on the Custody Sergeants face, and possibly the defence brief, at that little gem but hey ho, not my problem. The Furnace Park estate wasn’t hard to find. Just a few years ago it would have been even easier to spot just by following the seemingly constant trail of black rising smoke from one car or another being set on fire by its joyriding resident yoof. Perhaps they were just trying to recreate the areas former existence as a foundry from a time when Britain ruled the waves (and most of the rest of the world) and we actually made things; real solid metal things that we sold around the world and made ourselves a proper world power … or slave drivers (sorry I digress). Furnace Park is another of those squished together compacted living areas full of blocks of flats and houses smaller than a hamster cage which in someones mind, back in the 50’s or 60’s, were going to be the panacea of modern living. It’s the real reason we all had a fascination with flying cars – upwards was the only way out, the roads were so small and narrow there was no chance of driving forwards. Nowadays it’s the sort of place that the rats go to their doctors and get a tetanus jab before entering, wear wellies and carry little pouches of anti-bacterial gel strapped to their tails. Excellent. So now we have a situation where a person has called the Community Mental Health team for help. They in turn have assessed that this person is in need of some sort of assistance AND that they may be under the influence of one kind of substance or another, legal or not. They haven’t summoned medical assistance for this person. Nor have they made any direct effort to visit the caller and check on their welfare. Instead they have called the police. Buck passed. So now our Comms Room has the information that as member of the public is in need of help, they they may be in some form of distress, physically or mentally, that they may be under the influence of some form of substance which is affecting their wellbeing, and now the police haven’t summoned medical assistance either. And remember, we also have a history record on this person, and have created lots of ‘warning markers’ to highlight the various issues they have. This will no doubt be down to some risk assessment procedure and in the vast majority of cases ‘it’ll be alright on the night’ … but what about that odd occasion when it’s not, and the subsequent enquiry starts shouting very loudly that ‘police knew of the situation and did nothing’. Because I can guarantee you that will be the first line of defence from the agency that called us, no matter who they are. Factor in the time delays between the call to the third party agency who then decides on their course of action which is to call police; the time for someone in our call desk to take down all the information and enter a job onto our systems; the time for that job to then be assessed and categorised before being sent to the despatch supervisor; the time for them to pick the job up, re-asses it and then find a unit to deploy; and then the travelling time for the officers being tasked (in this case 25 minutes) and we are quickly in the region of 40-45 minutes AFTER the initial calls for assistance in the lucky circumstance we have someone to deploy straight away. Golden Hour and all that …..?? Anyway we got there. Pete had just pulled in ahead of me and was out of his panda and moaning before I even got the handbrake on. Custody Sergeant moaning he couldn’t just leave with a prisoner in the traps; PACE this, defence solicitor complaining that blah,blah … I can just imagine his reply though. As would be typical, the address we were heading for was never going to be on the ground floor but at least it was only a two floor journey via a flight of concrete steps that judging by the debris, mess and graffiti could tell many a tale if only it could speak. The first thing that struck me as odd on the balcony style walkway outside the door of the flat we were heading for were the potted plants. 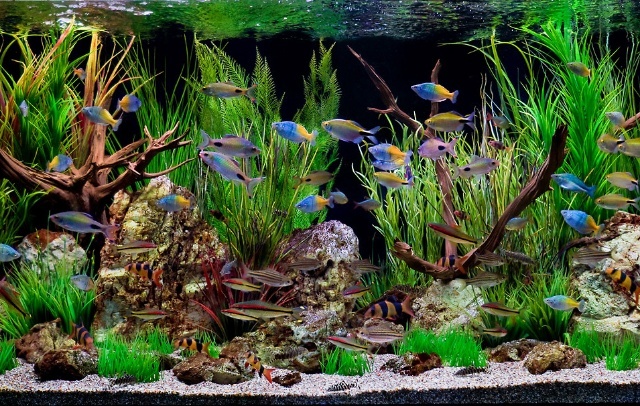 Quite a few of them actually, and well looked after too. The immediate reaction was ‘we’ve been given the wrong flippin’ address’ and so a quick radio call to the Control Room was in order to verify the incident location and details. This wasn’t an area either Pete or myself had been to before; it’s not ‘our town’ and so we don’t know any of their local characters – we have more than enough to deal with on our own patch thank you very much. Address verified, it was shrugged shoulders from the both of us and a knock on the door. It was answered by quite a pleasant young chap in his mid thirties. “Can I help you officers” he said. “Errrmmmm … we’re not really sure, can we pop in for a chat for a couple of minutes”” ?” Confusion overload was well and truly in operation by now. “Is my mum okay” asked Michael, clearly his brain scrambling to find a logical reason as to why we were knocking his door just as much as we were. “Don’t worry, it’s nothing to do with mum or in fact anyone else Michael” Pete quipped in, “we’ve been asked to come and check you’re okay”. This seemed to puzzle Michael even further. And with that, all of our thoughts and presumptions just came crashing down around us. Michael began to laugh. Quite a lot actually. “You’ve gonna love this” he said. 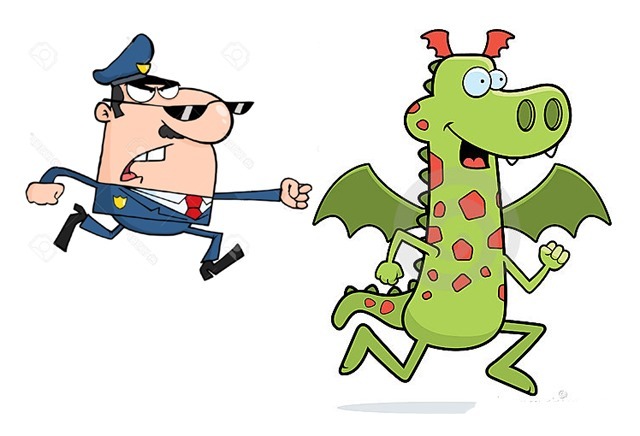 “I was on the phone having a bit of a rant because they couldn’t give me a visit date and I said I can’t be waiting for them any longer, my dragons got out and I need to catch it”. Michael stood up “come with me” he said walking towards another room. Michael led us into his bedroom, closed the door behind us and then we began to laugh. “They are a pain when they want to be” Michael said “They hide under the bed and if I go one side they just come out the other”. 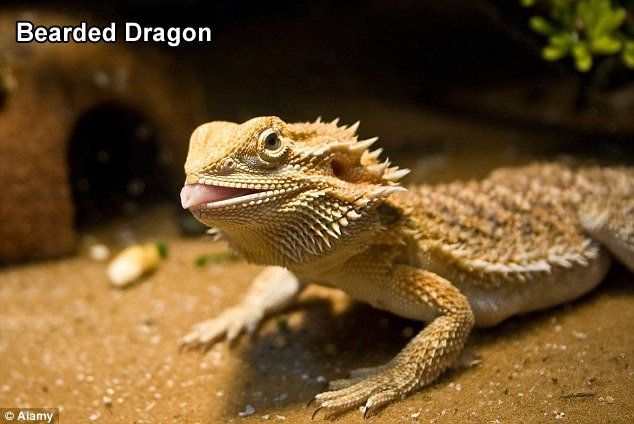 ‘They’ were Charlie Brown and Snoopy, Michael’s two pet bearded dragons. It appeared Michael had been cleaning their vivarium out, having placed the terrible twosome on the floor for a wander around as normal, and his mind had then strayed into his need to speak to the Community Mental Health Service. It was whilst on the phone to them, his eyes being distracted by one of the creatures walking past him that he suddenly remembered he’d forgotten to put them away. The next few minutes consisted of two six foot blokes, full kitted up in stab vests and belt kit, on their hands and knees in a strange blokes bedroom, with their heads stuck under a bed being taunted by two small spiky scaly things who clearly saw the amusing side of things. Luckily we were soon informed the best course of action was simply to usher the elusive twosome in a particular direction where Michael could then grab them when they finally appeared from the dark recesses under the bed where normally the bogeyman lurks. “Custody skipper’s gonna be proper pi***d, looks like my guy’ll be sat in a cell a bit longer” said Pete. And with that we were out of the door and running back to our vehicles. This blog was written in March 2014 by a detective who describes her experience of depression and posted on the Avon & Somerset police website. The author has subsequently kindly given permission for it to be reposted here in the interests of further highlighting the problem of depression and related mental ill health as it affect members of the police family and hopefully offering some small amount of support and/or guidance for those in need a a little help or assistance. She talks about her early symptoms, how she disregarded them, how problems built up and how she finally got help. She describes her very positive experience of recovery and gives very practical advice to colleagues who may be experiencing similar symptoms. I am a detective constable with 24 years service. I recently had a breakdown and subsequently was diagnosed with depression. This was caused by too much stress over a long period of time. I am writing this because I feel one of the last taboos is talking about being in the police and recovering from this type of illness. I want to help others understand more about stress and depression, how they can spot it in others and how they can reduce the risk of it happening to them. More importantly I want people to know it is not the end of the world, that afterwards you can have an even happier and contented life than before you fell ill. 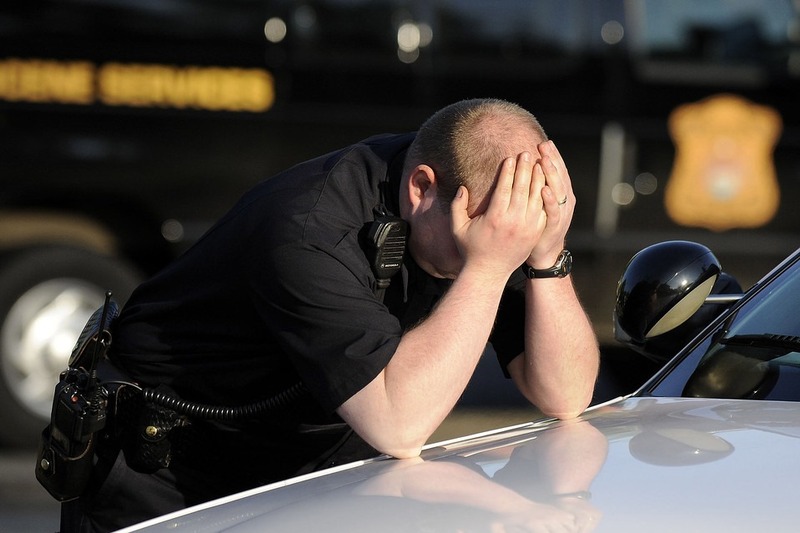 I believe more police officers and staff are suffering from stress than ever before. Stress related illness is on the rise and can have a devastating effect on the individual, colleagues, friends and families. And there’s the cost to the organisation with people going long term sick, and some not returning to the job. I believe stress statistics are never going to be accurate due to the amount of people who go sick with stress but then make up another reason for the sickness. They do this because of the stigma that’s still attached to stress and depression. Freak! Unstable! Lazy! Weak person! Get a grip! You’re making it up! Let me get one thing perfectly clear. Depression means you are the complete opposite of these things. I can only talk about me and my experience. Everyone’s story is different, however I do feel there are common personality traits that can make a person more vulnerable to depression. Reliability; (moral) strength; diligence; strong conscience; strong sense of responsibility; tendency to focus on needs of others before one’s own; sensitivity; vulnerability to criticism; self-esteem dependent on the evaluation of others. Most of those are police officers to a T! After I had my son I started suffering from anxiety. Sometimes I could control it and push it out of my mind, other times when I was stressed it was more intrusive. I would be driving, in particular on motorways, and have a terrible fear that I was going to crash. I would keep having irrational thoughts, always worrying that the worst would happen in every situation. I know now that this is called catastrophizing. I have also had periods of panic attacks; at one point it got so bad I ended up in A&E convinced I was having a heart attack. I would check things a lot – I would walk back in my house many times checking gas rings were off. I had awful sleep patterns; I would wake with a jump and see sudden vivid images come into my head like a lorry crashing in front of me. I would also over react to sudden noises like a balloon popping or fireworks going off, a bit similar to that Catherine Tate character who screams when the microwave goes ping. It actually made me feel like I was being attacked. My reactions to a sudden noise were completely over the top. It was like my fight/flight response had gone wrong and I was always on alert. It wasn’t constantly awful but it was always there in the background to a certain degree. It was only when I was going through stressful times that it all seemed to get out of control. What tipped it over from stress and anxiety to depression? 2013 was the year where things went very wrong. Normally I would go through stressful periods like everyone else does and then things get better but this time it wasn’t getting better. I had been in the police for 24 years, many years in Child Protection/Public Protection Unit. I enjoyed my job which is why I’ve done it for so long and I feel perfectly capable of dealing with the type of cases that I deal with. I felt it was a combination of events – the increasing work pressure, last five years of going through promotion process, feeling I was constantly jumping through hoops but not getting anywhere. This combined with anxiety problems, my own personality characteristics and some traumatic events in my past meant I was heading full speed towards a complete breakdown. So what actually was my breakdown, what does that word even mean? My head started spinning; my brain was racing with too many thoughts crammed in. I was coming home and being stressed and irritable with my family. I was smoking and drinking too much wine to try and relax. Normally I would be trying to exercise and do healthy things to combat stress but this time I couldn’t do it. I couldn’t switch my head off; I remember one evening trying to watch television and breaking down in tears sobbing to my husband, that I was so scared as my mind would not stop racing. I stopped seeing my friends, I stopped any hobbies, I used to dread the phone ringing as it meant I had to focus and concentrate on whoever was phoning. I couldn’t talk to anyone about how I was feeling as that would have taken mental and emotional energy and I had not one bit of it left. So I completely withdrew from friends and family. Each day felt like I was wading through treacle and little tasks seemed huge. I over worried about everything. I felt like I had let everyone down, I felt like a failure. So how was this affecting my work at this time? Everything I am describing is being done retrospectively. When I was going through this I did not have the clarity of mind to realise I was ill.
For months I kept breaking down at work, I would overreact to the slightest thing and start crying. Not even a few tears but proper sobbing. I had no control over this, it was like I had no filters left on what was an appropriate reaction or not. I know now that people were worried about me. In the summer my boss told me he thought I was unwell and that I should go to my GP. I was in complete denial and thought ‘what does he know? I’m just a bit stressed’. Under duress I agreed to visit my GP, where I underplayed how ill I was feeling and left. So I carried on at work, in my head I really thought I was just a bit stressed and it would pass. Then my rest day got cancelled and I could no longer have my spa day. I completely lost the plot in the office and became hysterical, proper snot bubbles coming out of my nose and sobbing uncontrollably. I can still picture the look of horror on the faces of my colleagues and supervisors. The next day I went back into work as I had a barrister’s conference. I popped in to see my detective inspector and tell him I was on my way to the conference. Instead he told me to sit down and told me in no uncertain terms he thought I was really ill and needed help. He told me I was going home and that the decision to go sick was being taken out of my hands. The first three weeks being off sick was my lowest point, the office was particularly busy and I felt I had let my colleagues down. I was extremely paranoid thinking that everyone at work must be talking about me; I was overwhelmed with thoughts of being a failure and being weak. I couldn’t concentrate; I was unable to read anything; written words would dance up and down on the paper. I couldn’t complete the slightest task; I would have to keep walking away every few minutes. My memory and concentration were shot to pieces. After a while, when it was clear I was not getting better by just resting there, was a bit of an intervention from my friends and family. With their support I went to my GP and at last I was honest about how I was feeling. The GP signed me off sick for another month, diagnosed me with depression and prescribed anti-depressants. I went home, phoned occupational health and arranged counselling. Occupational Health have been so supportive, absolutely fantastic. By mid-January the meds were starting to have an effect and although not fully recovered, I felt I had got as well as I could at home and I wanted to continue getting better whilst back at work. I needed routine and normality. In careful consultation with my GP, occupational health and bosses at work it was agreed that over the following month I would slowly build my hours back up. The reduced hours were non-negotiable and it was a condition I needed to agree to, to take the first step in getting back to work. That first day returning to work was so scary. I just wanted to get that moment of walking through the office door on the first day back over and done with. The personality characteristics I have that made me ill in the first place were exactly the same ones that I now wanted to go back to work. For the first time in ages I felt I had fire and determination back. I wanted to fight for what I felt was right for me. I absolutely refused to come back and be stuck in a broom cupboard because bosses may not know what to do with me. Luckily for me and this part was crucial to my smooth return to work, I had bosses that listened to me. I explained I felt I was less of a risk than people currently at work who were suffering stress and depression but did not yet realise. So it was agreed I could go back to my normal work but with a clause that we had regular reviews and that I continued to be honest with them in how I was feeling. I am not talking about my weight gain either. That was another effect of the depression, weight gain. A year of downing vast quantities of wine whilst eating lard and doing absolutely no exercise meant I was now packing a fair bit of extra timber. Anyway I digress. I meant the other elephant in the room – what to say to other people! Should I say something? Should I not? What do they think has happened to me? What do they know? In the end I decided that I was not going to make any big announcement, I would just crack on with my work. Slowly over the weeks it all just came out naturally, chatting to people on a one to one basis. So that brings us up to date really. I am now back full time, getting stuck in, a bit of overtime and just generally back to normality. I am still recovering; my concentration is still not fully back. I have days where I’m extremely tired; those days I just need to be aware not to overdo it and after work go home and relax. What advice would I now offer? To anyone who recognises themselves in all this, then please try and get help. You really cannot do this on your own. Start by talking to someone you trust. Once you are honest with yourself and able to admit that things are not great then you can start the slow process of unpicking the reasons it got this way. If you see someone acting consistently out of character and you are concerned about them, then speak up. They may be at a stage where they are so deeply entrenched in their illness they do not have the self-awareness to know they are unwell. Police officers are naturally suspicious and we need evidence to back things up. Well, with this type of illness you don’t always get direct evidence; there is no visible injury, no cast on a leg for example. Instead of thinking ‘unless I get evidence that tells me they are ill, I will assume they are pulling a fast one’ consider taking a default position – ‘I genuinely believe they are ill, unless I get concrete evidence to suggest otherwise’. That would be fantastic. Although to be honest no rumours or nasty comments are in any way as awful as the thoughts that person is most likely having about themselves. Just remember a little bit of basic human kindness and compassion costs nothing and goes such a long way. If someone goes sick, a simple text that you are thinking of them will mean the world to them. If you want to go the extra mile and offer them support tell them, so they know who they can contact. The isolation from colleagues is one of the worst parts of it all to deal with. For me on the whole I have been lucky to have had colleagues that have not judged me, not jumped to conclusions and have been supportive. Listen to what the person is telling you; don’t think you know all the answers. No one knows them better than they know themselves. A move to a broom cupboard or making it someone else’s problem is really not the best solution. The easy one maybe. But not always the best one. Anyway as I said at the beginning if I can change just one person’s views or help someone suffering the same, then my work here is done. I realise putting myself out there like this is opening myself up to being judged and opinions being cast. However what other people think of me no longer worries me like it did last year. To be fair what other people think of me, is really none of my business. Did I tell you I own this great company ? Our WidgetWangles are better, more robust, longer lasting and better value than any comparable product on the market … and business has been so great that we are expanding beyond all belief. We now need more people to come and join us; quality people; only the best people for the job; only those that can live and breathe our product – and believe it … we need the best of the best of the best to become world leading ambassadors of the WidgetWangle world … to take our products to markets new and make the world a better place – indeed a WidgetWangleWorld !! Just one small thing … well two actually. You see, it doesn’t matter to us if you know all about Widgets and Wangles. It doesn’t even matter if you’ve done work experience, an internship or even been a lifelong member of the WidgetWangle fan club and can recite load capacities and structural dimensions to the hundredth point. No … if you want to be part of our team, to be a WidgetWangleWarrior, you must die your hair green. Not just any green, but bright green, nay even luminous green if you really want to make it to the top ! And you must eat blue cheese. not just a nibble now and then, but blue cheese MUST be the staple food in your daily diet. No if’s, no buts, no practical experience, or longing to devote your whole life to the WidgetWangleWorld … if you don’t dye your hair green and live on blue cheese, you ain’t coming in – is that clear ?? Sounds a crazy idea doesn’t it ? But I’ll tell you something … for those people who are desperate to work in the world of WidgetWangles, they will do it ! To achieve their life’s dream of being the number one performer in the number one company in the world of WidgetWangles, above all else, some people will do whatever it takes to realise their dream. You could say my idea is ‘doomed to succeed’ … for no matter how foolish or rediculous an idea it is, it will, at the end of the day … work. It will not make my WidgetWangle sellers, makers or promoters a single slither of that blue cheese any better at what they do, and more importantly it will mean that perhaps some of the very best people in the Wangle world; with the best ideas on how to promote the product; how to improve the product; in fact how to take my WidgetWangles and make them even better and more useful in the future, won’t want to work for me. They will go and work elsewhere, where the job requirements are not so ridiculous; where they are appreciated and respected for their abilities; their capability; their profound desire to improve the Wangle world … but it won’t be with WidgetWangles because they either can’t, or won’t dye their hair green and live on blue cheese. Or maybe they aren’t able to afford to by regular supplies of green hair dye, or copious amounts of blue cheese, i mean it isn’t cheap you know. Maybe I could arrange a rather large loan to cover the next three years supplies and you could spend the next thirty years paying me back ?? What I will have though, is a workforce that knows what it’s talking about; will live and breathe the world of WidgetWangles, will be fully experienced in helping our customers choose just the right WidgetWangle for their needs, and ultimately will help me help WidgetWangles to flourish and grow for a long time to come. And you know what ? 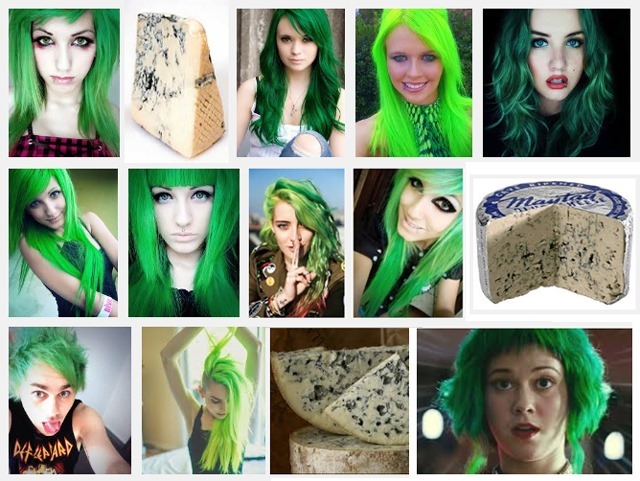 Demanding my prospective employees dye their hair green and live on blue cheese is just about as viable an idea as demanding that anyone who wants to become a police officer MUST have a degree BEFORE they are even allowed to apply for a job. This article has been re-blogged with permission from the site of Jeffrey Harris, Deputy Police & Crime Commissioner for Surrey. The ONLY way to get the message to the public about what is happening to a public service, and let’s be frank here, they pay for, is to shout loudly, continually, and from every single angle we can. Posted in the interests of creating debate. 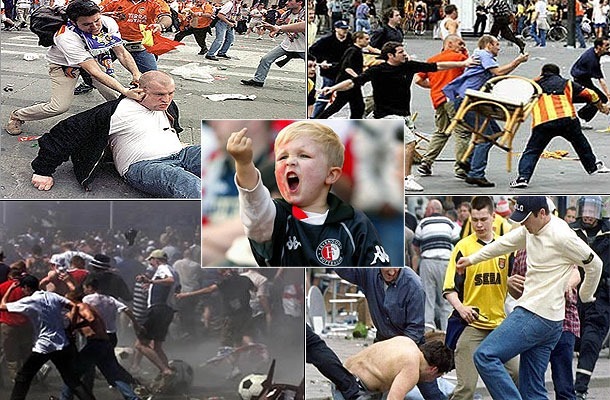 Over the last few years with the help of some stupid people, criminal behaviour by a few, and own goals from all sections of Policing; the media and many politicians have had a field day criticising the many for the actions of the few – a tiny minority by any ones standards, but that’s life…..or is it? Every day Police Officers and support staff- and that includes Special Constables, put themselves in harms way, rushing to danger and putting themselves between the ‘wolves’ and the ‘sheep’. We constantly hear ‘experts’ and those who can’t possibly understand the complexities of modern policing, internally as well as external to policing, vent their beliefs about ‘How the Police should do it….What the Police must do…’, ‘What the CC’s/PCC’s must do, etc, etc. A classic comment from the Policing Minister – who should know better – is’ The Police have enough resources, it’s just about how they deploy them’ , (How do you deploy invisibility?) or even better from the new Shadow Home Secretary: ” Labour supports PCC’s but we also believe there could be another 10% cut from the budget”… I may have slightly paraphrased that but my response is to both..
As the Americans say it…………. WAKE UP AND SMELL THE COFFEE! You and the other 650 MPs and 900 Members of the House of Lords took an oath to protect the people of Great Britain. Quite rightly there is a fuss about the loss of the livelihood of 1700 Steelworkers in Redcar-and quite rightly Government are now (at last) stepping in to re-train the jobless, and finding £80million to do so. I will keep my personal views about the timing and agendas at play here. (other than the say ‘Northern Powerhouse’). But when TWENTY times that number of Police jobs go, and another TWENTY times that are going in the next 3-4 years…WHERE is the Fuss? Where is the Govt Finance package? Where is the Opposition spokesman defending policing? His words this week……..’I think Policing can afford another 10% loss of budget’…..(By my maths Mr Burnham – That’s just under £800 Million) -and he’s in opposition! I”m a simple person, but here’s my summary…..Lose 1700 jobs -find £80million from Govt. Lose 34,000 from policing with another 34,000 and just keep cutting…cutting…cutting. Some will argue my theory/opinion is wrong, if so let’s have that public discussion at PMQT, or even National TV, but I doubt if H.M Opposition care enough-with the odd exception-to raise the issue. 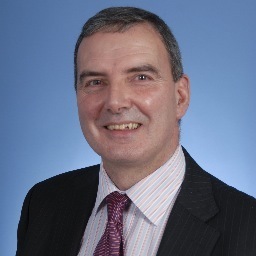 The Govt certainly don’t give a ……..
I’ll finish with my usual statement – There’s a perfectstorm coming to the safety of our communities, and the very people who are charged with keeping us safe are looking the other way…..deliberately. Last week Twitter’s laughing policeman, Constable Chaos posted his own impressions on his day of football policing Football Crazy . I have reblogged this below. While I can’t dispute what he says, because I wasn’t with him, his experience doesn’t reflect mine, nor the majority of police officers I speak to and who police football matches. In reality, hundreds of thousands of fans travel across the country every week to watch their team play football. And these hundreds of thousands of fans are policed by a handful of police officers, compared to the number of police required most Friday and Saturday nights in towns up and down the country…..